Ice Out Won’t Be Long Now. 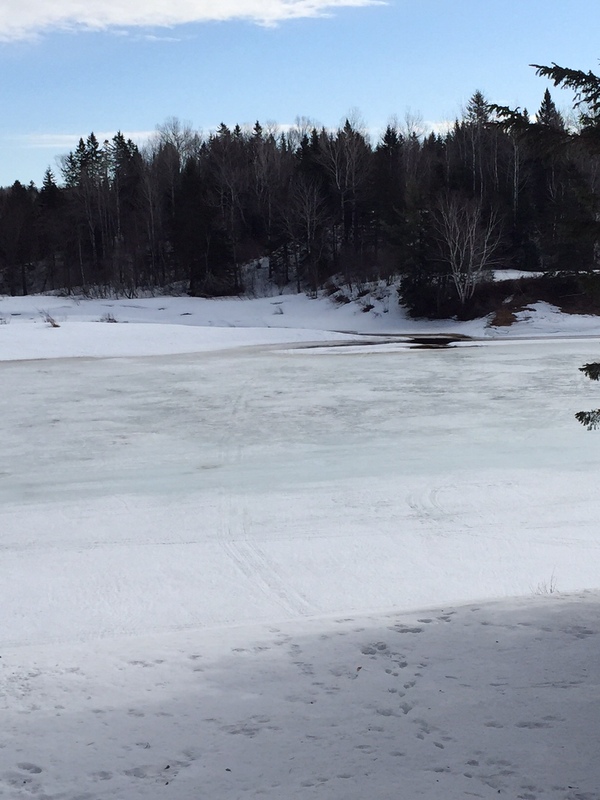 The picture immediately below from guide Jason’ Curtis’s deck this morning 4/16 is a big, open lead on the west shore of Main SW Miramichi. According to Jason the ice will go in a day or two. The picture below from the day before where open water was starting to appear on the opposite shore from Jason’s house. The shift across the river shows that the whole ice mass is becoming mobile. Even without rain the melting snow has brought the water up over 5 feet in the last week or so. 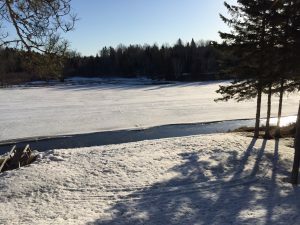 The season opened on 4/15, but there was no open water for fishing. ← Single barbless and no retention of Atlantic salmon or grilse for 2015!